If you are a home owner, you know that repairs and changes are always needed to some degree. However, if you have major projects that need to get done there is a loan out there for you. You may be considering the purchase of a major fixer-upper and renovating it. The FHA 203k loan, offered by NSH Mortgage, is designed for homeowners or buyers to improve or upgrade their current, or a newly purchased home in Florida. 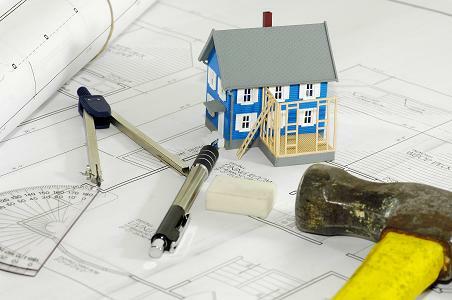 In the past, the most common way for home buyers to get money to rehab a home purchase or owners to get money for a major renovation was to apply for a separate construction loan. That meant having two separate mortgages, a mortgage and a construction loan. The purchase loan and the second construction loan contain two separate sets of closing costs and two aggravating loan application processes. The new FHA 203k loan reduces the aggravation and costs by combining both the purchase loan and prior mortgage with the construction loan. This loan is available all over the country in all 50 states, and can be obtained for single family residences up to $625,500. What Is An FHA Loan, And Who Is Eligible To Receive One? The FHA has been around for over 80 years. It was created to help depression era Americans obtain homes in a time when it was nearly impossible. FHA stands for the Federal Housing Administration. Before the FHA was formed, people had to meet incredible demands to obtain a personal home loan. Most needed to provide as much as 50% of the total purchase price as a downpayment and loan terms were only five years on the average. That made initial costs prohibitive and monthly payments impossible for the average American family. The FHA home mortgage loan programs changed that by creating government backed loans that provided standards for lenders to follow that were much easier on home buyers. By guaranteeing loans that met the new FHA standards, lenders were able to provide loans without the risk that kept them from approving most applications. As long as the lender met the minimum standards set by the FHA, they would insure the loan and protect the lender from “bad loans.” These minimums were much lower than the lenders themselves felt comfortable with. The relaxed standards included much lower down payments, credit history demands, a broader outlook on home appraisals, and easier employment verification. These standards became known in the lending industry as the FHA mortgage guidelines. When applicants met the standards set forth in those guidelines, banks could approve the mortgage with no risk to themselves. They would allow people all over the country the chance to own their own homes again. This program is still alive and well. It is one of the most commonly recognized loan programs. Its guidelines are still some of the most relaxed and forgiving loan requirements in use today. Since its start in the early 1930’s, the FHA has provided home loan insurance for more than 34 million loan applications. The average downpayment on an FHA loan is 3.5%. Buyers can apply and be accepted with lower credit scores than a standard conventional mortgage. The FHA 203k mortgage is basically a construction loan, but it was created to take the pain out of rehabbing homes for the American consumer. The 203k mortgage puts the home owner’s regular mortgage together with the construction costs to provide a single loan and one monthly payment. By combining the two loans together, either an existing home mortgage or a new purchase loan, the home buyer can save on overall closing costs, and even have a lower combined monthly payment than the total costs of two separate mortgages. While the FHA 203k won’t be completely hassle free for the existing home owner looking to refinance for home improvements it may be in some cases, because they have already gone through the loan process, and now must go through an additional application, in some cases it is less hassle. There are two types of FHA 203k mortgages. The first is the streamline loan. This style of FHA 203k loan is best for existing home owners because the application process is greatly streamlined. It uses the information provided for the initial loan in order to approve the new combined loan. The downside to the streamlined variety of the 203k loan is that it has a top construction limit of $35,000. This makes it good for smaller projects such as, single room renovations and single construction changes. These may include roof repairs, replacing flooring, a new kitchen, and a bathroom renovation. For bigger projects involving structural changes and multiple rooms there is a much better choice. This may include major plumbing or electrical issues or where it isn’t possible to live in the structure. If you can’t live in your home while it is under construction the second type of 203k mortgage is a better choice. The standard 203k FHA loan has no upper limit for the construction value of the repairs and renovations. The standard 203k loan does have a minimum. The loan must be for at least $5,000 over the existing mortgage value. First-time buyers can even take advantage of the FHA HAWK loan and use it in conjunction with the 203k mortgage. This allows them to get even better savings on mortgage insurance and upfront costs. 1: Home buyers can use the 203k loan to buy a piece of property with an existing home that requires repair. 2: A home buyer can buy a home on a plot of land and move the home to another piece of property, then repair the home. 3: A home owner can make repairs to their existing home with the FHA 203k loan. When used in any of the above situations, the entire amount of the loan must be used on the actual home and home improvement. Home owners may not cash out any of the money for other expenses or personal use. The FHA 203k loan is intended for single family homes only. Buyers cannot use this loan program for homes over 4 units. There is only one way a home owner can use this loan for larger properties. They make the purchase of the property of more than 4 units and then use the construction money to convert it into less than 4 units. All properties must be owner occupied. FHA standards including a FICO score of 600 or better, US residency, and documented annual income are necessary to obtain the FHA 203k loan. The standard FHA 3.5% downpayment is required. The loan can be created using fixed or adjustable rates, and also be used with other FHA offers. These offers include the Good Neighbor Next Door program and the Back to Work program. If you are interested in getting a mortgage for a home purchase or a renovation, contact NSH Mortgage lender today in Florida. We have helped countless clients to get financing for their next purchase of a home or renovation. NSH Mortgage lender in Florida offers a variety of mortgages, from an FHA Loan to commercial financing loans.